Sean Davis was born and raised in Tulsa, OK, and graduated with a B.S. in Physics from the University of Tulsa in 2001. After spending a year at the Los Alamos National Laboratory studying lightning from the FORTE satellite, he entered graduate school in the Department of Atmospheric and Oceanic Sciences at the University of Colorado. Since moving to Colorado in 2002, his research has included solar-climate connections, Antrarctic boundary layer ozone chemistry, and in situ measurements of cirrus clouds from aboard NASA’s high altitude WB-57 research aircraft. 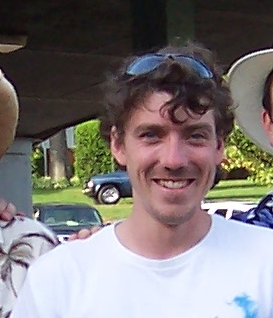 He received his Ph.D. in Atmospheric Sciences at the University of Colorado in 2007. Christa Hasenkopf graduated with a B.S. in Astronomy & Astrophysics from Penn State in 2003. At PSU she studied the accretion disc structure of Active Galactic Nuclei and Cataclysmic Variables. She also studied IR properties of Jupiter’s atmosphere at NASA-JPL. After graduation, Christa spent two years in Teach for America, teaching geometry in a Baltimore City high school. She is now a graduate student in the Department of Atmospheric and Oceanic Sciences at the University of Colorado and studies the optical properties and possible indirect effects of simulated Titan and early Earth organic haze aerosols. Tanya Phillips was born in Iowa City, Iowa, but grew up in Wasilla, AK. After high school she moved to Dallas, TX for her undergraduate career and received a B.S. in Physics at the University of Texas at Dallas. During her undergraduate career, she participated in two internships through the REU program, one of which was at the MIT Haystack Observatory studying neutral oxygen in the upper atmosphere (120 km to 500 km). In 2006, she entered the Department of Atmospheric and Oceanic Sciences at the University of Colorado. 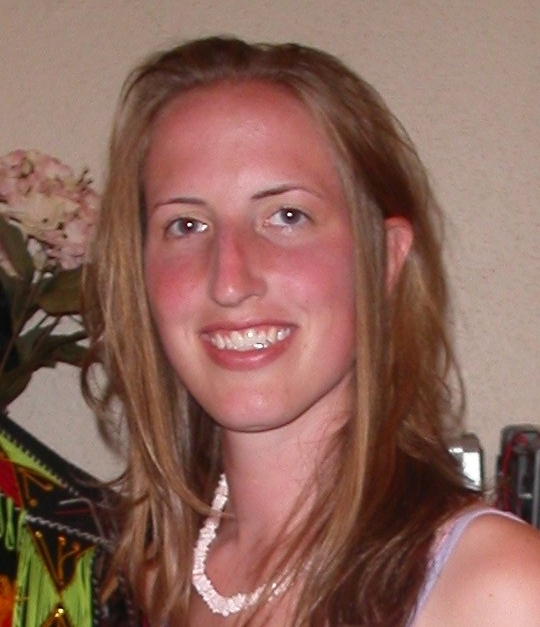 Her goal is to receive a Ph.D from research conducted in the middle atmosphere (mesosphere and stratosphere) at CU. Brian Seok is a graduate student at the University of Colorado in the Department of Atmospheric and Oceanic Sciences. Brian came to Colorado to study biosphere-atmosphere interactions and snow-atmosphere gas exchange in alpine ecosystems. 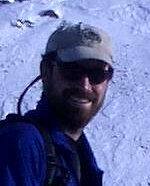 He is currently conducting trace gas flux experiments through the snowpack at the Niwot Ridge Long-Term Ecological Research (NWT LTER) site. Brian’s 3 big goals in life are: 1) to winter over South Pole, 2) to winter over North Pole, and 3) to be in National Geographic magazine. Jamison (Jamie) Smith hails from America’s Dairyland. He successfully defected to Colorado in 1996 and has been busy clmbing rocks and pounding moguls ever since. In his spare time, he studies aerosol plumes and clouds. Some time ago, he managed to wrangle a B.S. in Chemical Engineering from the University of Wisconsin and a Ph.D. in Chemistry from the University of Colorado. He also took a few courses from the Department of Atmospheric and Oceanic Sciences pertaining to things like the atmosphere, clouds and climate. Jamie is currently a research associate in the Laboratory for Atmospheric and Space Physics at the University of Colorado. His current efforts are aimed at improving the treatment of aerosol plumes and clouds in general circulation models and simulating the life of aerosol particles within individual clouds.